Scroll all the way down to see ALL the great CHANUKAH EVENTS listed below! Join us for an fun evening of Jumping, flying, and playing to Jewish/Chanukah music @ UrbanAir in Bellingham. 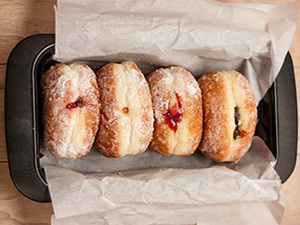 Online discount, Free Socks & Donut... Kosher food, and more. Children and families! Come build your own Dreidel Robot... And FIRETRUCK GELT DROP! Watch as the 6th candle is lit on the huge Menorah outside Chabad at Milford. 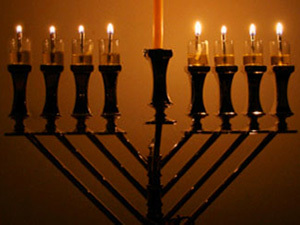 Lighting ceremony is free of charge... You can also join the four-course Shabbat family dinner. see next item. 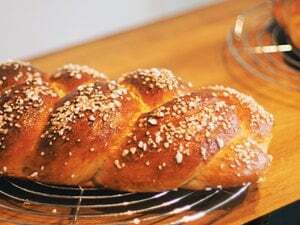 Enjoy a 4-course Shabbat dinner including all your Shabbat & Chanukah favorites. After clicking on the link, choose the last class, which is the Chanukah lecture, and is free of charge. Order anytime. Delivered free of charge! Each set includes: a Menorah, a Dreidel, a box of long-lasting colorful candles & the blessings. You can find anything and everything related to Chanukah right here. The traditions, stories, delicious Chanukah recipes, and more are just a click away. Partner with Chabad by giving the traditional gift of Chanukah gelt, enabling us to share the joy of Chanukah with the entire community. The Sunshine Club offers Chanukah programs at senior living facilities. You need not be a member of a senior center to participate in the Sunshine Club. A synopsis of the local Chanukah events, for children, Teens, Singles, Couples, and Seniors! Must RSVP! Join us for delicious Kosher dinner and view an awesome "Kosher Movie". An event (for adults and teens) you don’t want to miss. Write and send a Chanukah greeting card to all your family and friends, with the click of a button... Best part is, it's completely FREE of charge! Invite your friends to do the same. Women! Release your Inner Picasso! Enjoy delicious drinks and delectable desserts, while designing a beautiful marble menorah for your home. Join us for an amazing evening of Chanukah entertainment, lively music, latkes, donuts, crafts and much more. Grand Menorah Lighting - On the Franklin Town Common. One block from Dean College. Support for the fight against Opioid (and other negative) additions. Join the community, at "GILLY'S HOUSE" for a Chanukah celebration... to add light to a dark world!